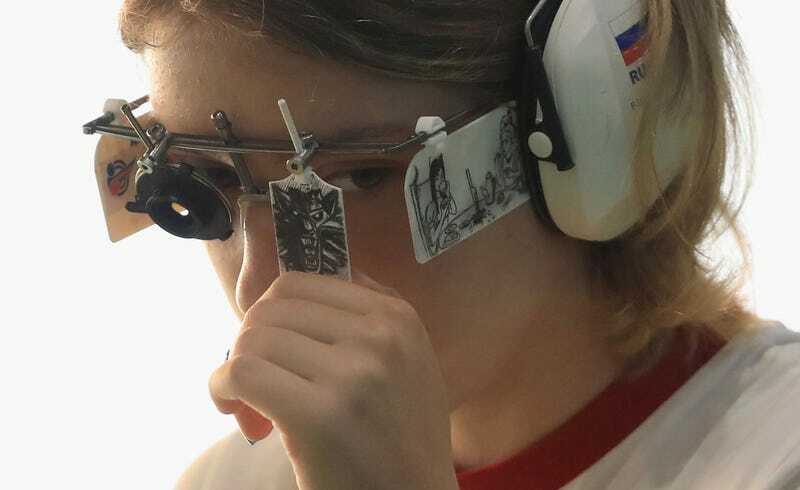 This is Vitalina Batsarashkina, a 19 year-old Russian shooter—and big fan of The Witcher, it seems—who won a silver medal at the Olympics earlier this week in the 10m Air Pistol. There was an actual Witcher medallion hanging from her pants during the event. If anyone on Earth is going to be more happy with silver than gold, it’s going to be a Witcher fan. And while we’re admiring her shooting gear, there’s a nice shout-out to American McGee’s Alice on the glasses as well.